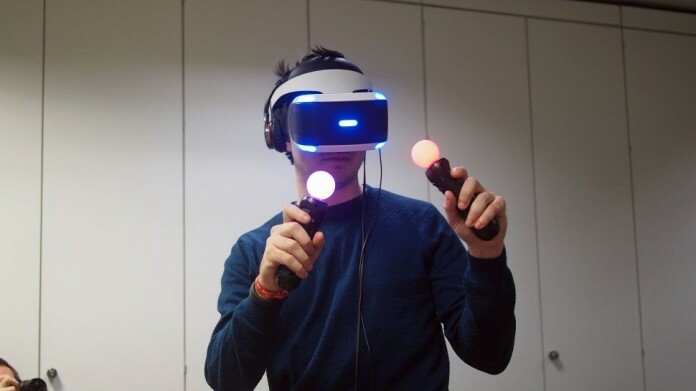 The launch of the PlayStation VR has proved to be a boom amidst the gamers passionate about their games. For the £349 priced VR headset the gamers need to have the PlayStation 4 along with a PS Eye Camera priced £44.99, The above set up might sound exorbitant but is much cheaper than buying the entire PC based set up. The technology makes use of the camera at the front of the room to track the head movements and presenting an alternative view of the world through a very small screen that is mounted in front of every eye. The view of the PSVR is reportedly a bit fuzzier but it does gives you the feeling of being somewhere else where you are not and is extraordinarily convincing. Such a technology has also challenged the game designers who had to find new ways of guiding the players around spaces that not actually exist. For instance, the Ocean Descent is one of the mini games in PlayStation VR Worlds and you do not have a controller. The sole movement is to look around and experience the pace inching in to the ocean depths in a sturdy shark cage. The initial experience is relaxing but things start changing when you see turtles, jellyfishes and manta rays swimming by your side. If the gamers wish to see the actual limitations of the VR, point game Loading Human: Chapter 1 can give an idea. A single glance at the game mirror shows the fault of attempting to draw arms and legs due to which the character is elongated abnormally.